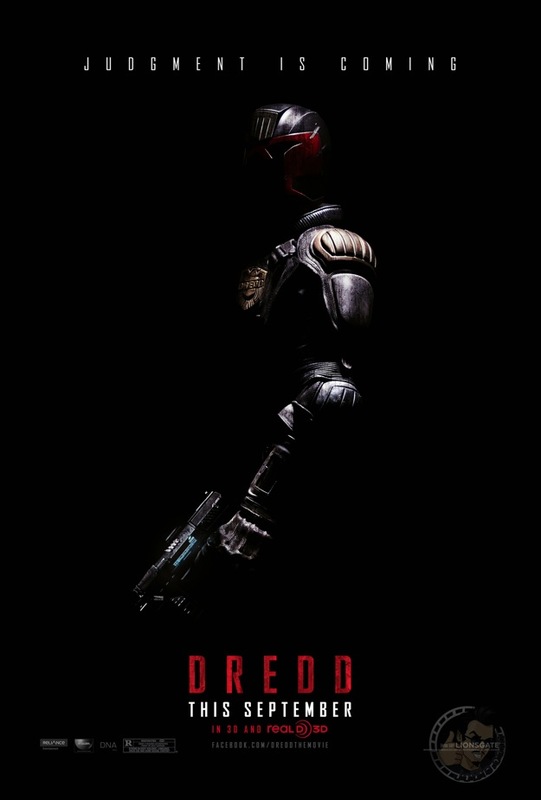 With just over three months to go before the film hits theaters, the first poster for Dredd has debuted at JoBlo, featuring Karl Urban in his full Judge Dredd gear. They’ve also posted two new stills from the release, all of which you can check out below! Set on the wild streets of Mega City One, the lone oasis of quasi-civilization on Cursed Earth, Dredd stars Urban as the most feared of elite Street Judges, with the power to enforce the law, sentence offenders and execute them on the spot – if necessary. Peter Travis directed the film from a script by Alex Garland. Olivia Thirlby and Lena Headey co-star. 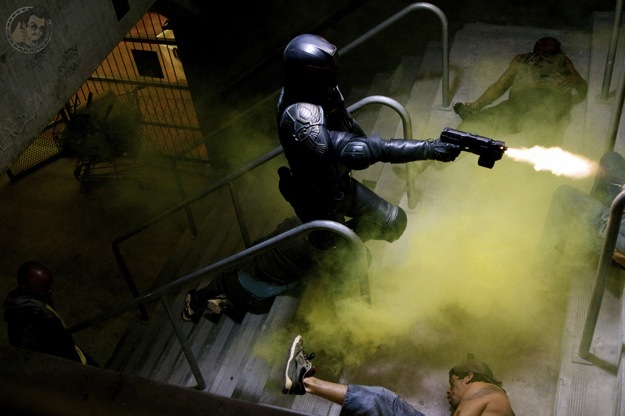 Dredd hits 3D and 2D theaters on September 21.